Looking for a new swimming pool? Simply click on your location to view pools and a complete range of swimming pool services. Learn more about the pool building process, design options, and why our pool construction quality is second to none in Houston, the Woodlands and Katy. 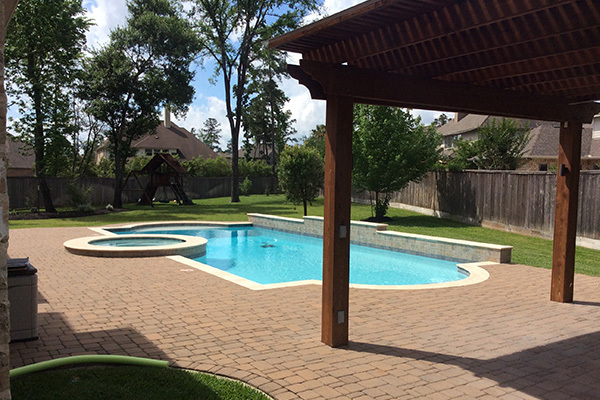 Swimming pool builder and pool contractors serving the greater Houston metropolitan area. 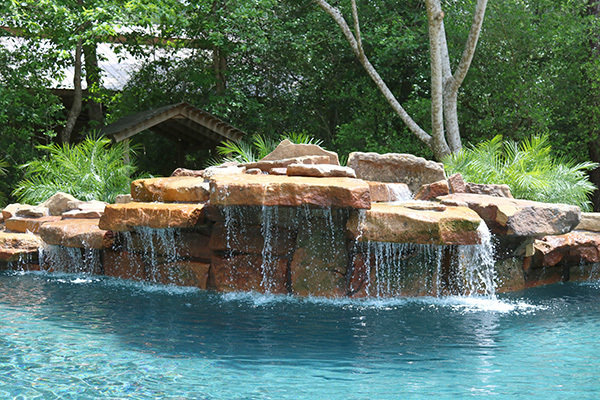 Swimming pool construction and pool building services for the Woodlands, TX. 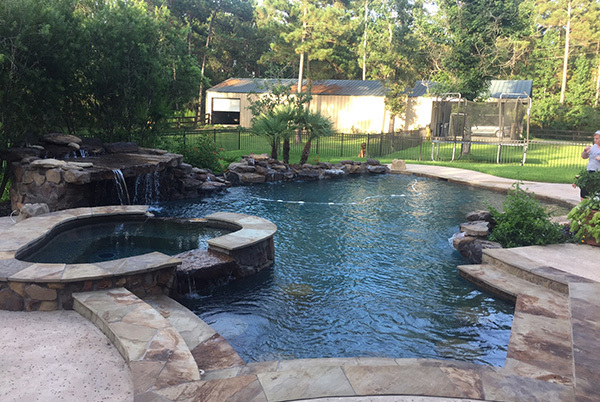 Katy, TX pool construction and swimming pool design services. Click to learn more. The owner, KC Arnold, exceeded our expectations. He was attentive to every detail from the design process to the tile in-lays, coping and stellar waterfall. After interviewing 8 other pool companies, we decided to go with Texas Pool Champions because of KC's extensive background with concrete and reinforcing steel. He absolutely delivered what he promised! I was initially worried about getting a pool. Mr. Arnold came out and answered all my questions and concerns. I have four children and he was able to meet all the needs for everyone in my family. We love our pool. It made my house a dream home! Texas Pool Champions is AWESOME! !